A beautiful painting is a valuable asset. 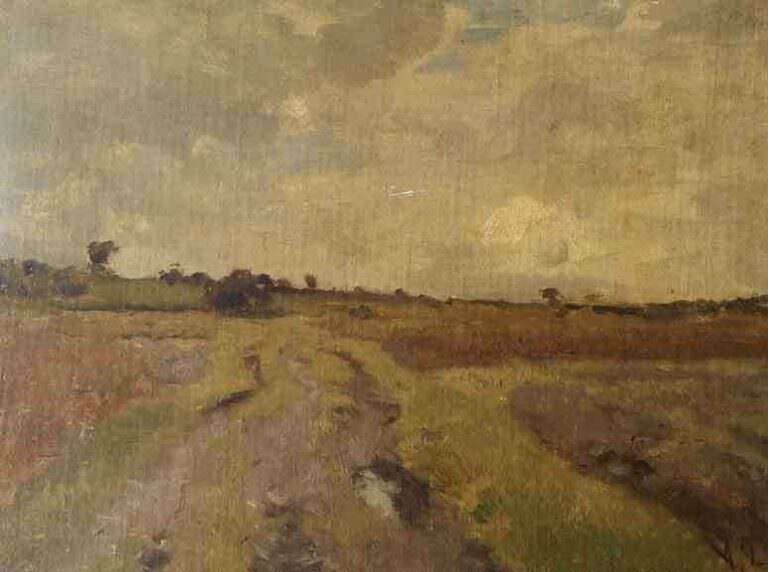 The quality of an artwork can be seriously affected by different pathologies: a varnish darkening with time, surface dirt or a tear in the canvas. 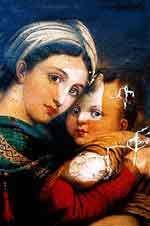 An art restorer can give you a professional advice on how to restore your painting to its original state so that it will retain its value. Restoration studio Ortiz Art Clinic specializes in the restoration and conservation of paintings. 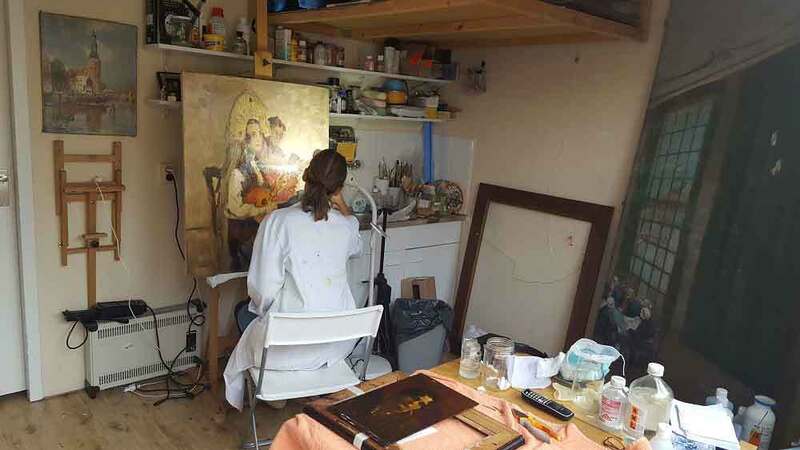 Ortiz Art Clinic has over 20 years of experience in restoration of paintings from the 15th century to contemporary art by artists from the Netherlands, England, France and Spain. Please contact us for a professional assessment and diagnosis of your painting (s). You will receive a proposal for a restoration advice, including quotation for the restoration activities. This proposal is free of charge and non-binding. More information on our ways of working you can find on this page. Also for the restoration of your frames, sculptures, paper (drawings), fresco’s, altar pieces or other objects you can contact us. Please feel free to contact us to . You can check here for more details on the typical work of an art restorer. New! Now you can also request online for a free quotation for the restoration of your painting. You will receive our free restoration proposal within 24 hours. 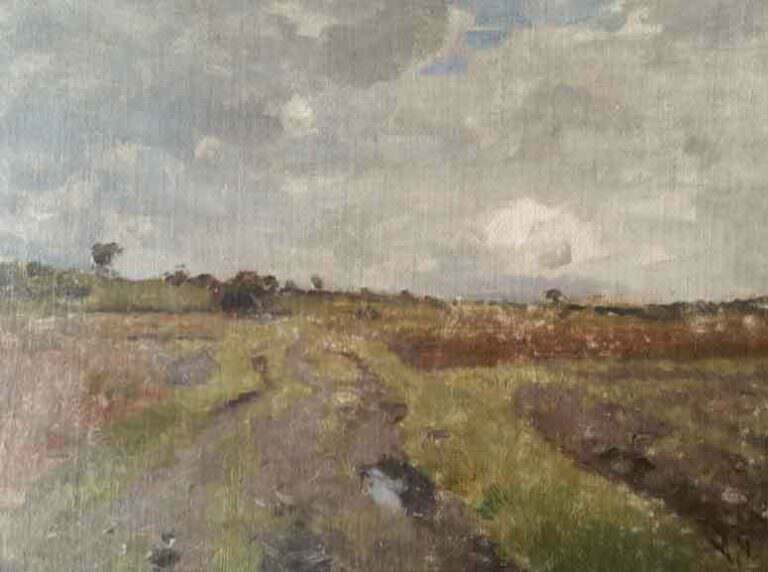 When you decide to have your painting restored, of course you like to know where your painting goes, who does the restoration and what will happen to the painting. You are very welcome to visit our restoration studio. Art restorer Patricia Ortiz will then inform you personally on the state and restoration of your painting Please contact us to schedule an appointment. A site visit to your location is also possible. 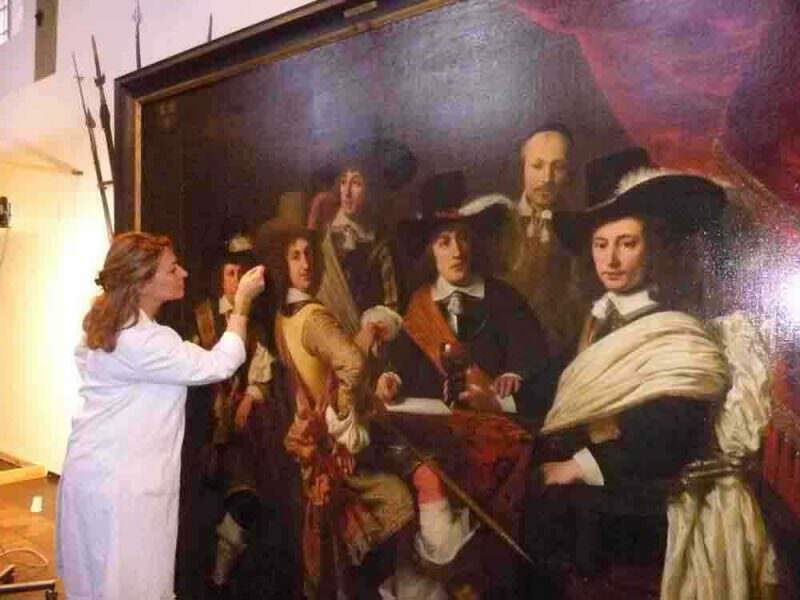 Ortiz Art Clinic is member of the association of Dutch art restorers Restauratoren Nederland (RN) and Art Restorers Association (ARA) and works according the international accepted Ethical Code E.C.C.O. Ortiz Art Clinic works closely together with The Art Clinic in Dublin, Ireland.